Our fully managed Escorted Tours are fixed itineraries allowing 24 – 30 Guests to explore Argentina from the unspoiled natural beauty in Patagonia to the bustling streets of Buenos Aires. Commonly described as the Paris of South America, Buenos Aires bears a strong resemblance to major European cities offering a colorful mixture of culture and architecture. No visit is complete without savoring the grass fed, free range beef this country is famous for, plus a glass of Malbec, plus of course be sure to take your turn on the tango floor, the national dance of Argentina. Patagonia straddles the Andean mountain range in the southern reaches of South America and incorporates both Chile and Argentina. Some of the world’s most dramatic scenery dots the landscape of this stunningly beautiful area relished by fly fishermen and nature lovers alike. The golf on these Escorted Tours includes Buenos Aires Golf Club, which is top two in Argentina and played host to the 2000 World Cup Golf Championship won by the American duo David Duval and Tiger Woods, toppling the home team of Ángel Cabrera and Eduardo Romero by three shots. 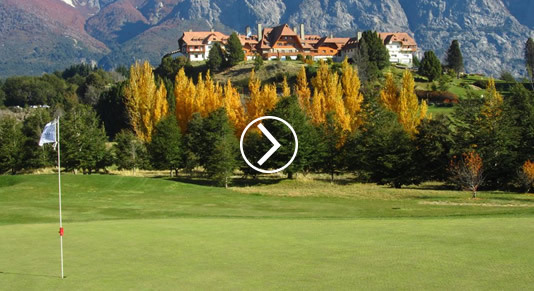 Chapelco Golf Club is a Jack Nicklaus “family” design found in northern Patagonia. El Desafío is a super scenic 9-hole design by the Australian legend Greg Norman which many predict will become Argentina’s number one ranked club when the back nine opens. We are equally pleased to offer our new 2020 South American Cruise onboard Azamara Club Cruises’ Azamara Quest, a boutique luxury vessel for 690 passengers. PerryGolf Guests will number 40-50 who will sail from Rio de Janeiro to São Paulo, Montevideo, Punta del Este and Buenos Aires for nine nights playing four rounds. We will enjoy a pair of overnights in Rio and Buenos Aires. Carnaval won’t begin in Rio until February but make no mistake this lively town is always on. Copacabana Beach is synonymous but there are 22 beaches altogether. Music here is the lifeblood featuring nearly ever genre but it is samba that you will hear everywhere and particularly in Lapa, a rather edgy district that attracts all walks of life. You’ll experience it all under the outstretched arms of Christ the Redeemer atop Corcovado Mountain, one of the New Seven Wonders of the World. After stops in Ilhabela, São Paulo, Montevideo and Punta del Este, we conclude in Buenos Aires. You’ll see European influences here plus parrillas (steakhouses) on practically ever corner. Quest’s concierge will point you in the right direction, very likely to San Telmo, a trendy barrio with cobblestone streets where you’ll experience perfectly grilled sides of flavorful beef paired with a local Malbec or Bonarda. From there its time to tango, either to see a show or try for yourself. Our golf is diverse and challenging. Renowned architect Gil Hanse designed the Olympic Golf Course in Rio for the 2016 Games. Buenos Aires Golf Club is one of the leading clubs in all of South America routinely ranked among the top two in Argentina. Cantegril in Uruguay is a tree-lined layout that demands an accurate tee ball over it 6,411 yards. São Fernando Golf Club in São Paulo first gained a worldwide following when it hosted episodes of Shell’s Wonderful World of Golf. 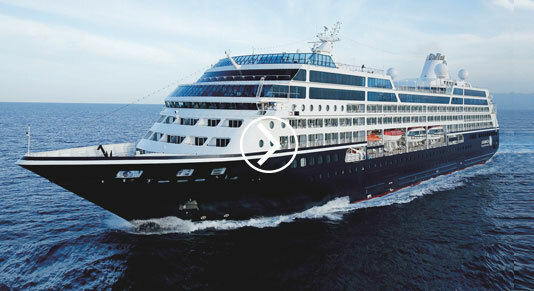 See the Detailed Itinerary and More About Azamara Quest at 2020 South American Golf Cruise.